It goes without saying that trying some tapas in Barcelona is a must for anyone visiting the Catalan capital. Tapas, which originated in Andalucía, are best described as bite size nibbles and are a large part of the Spanish dining culture, with families and friends regularly getting together over a tapas meal. 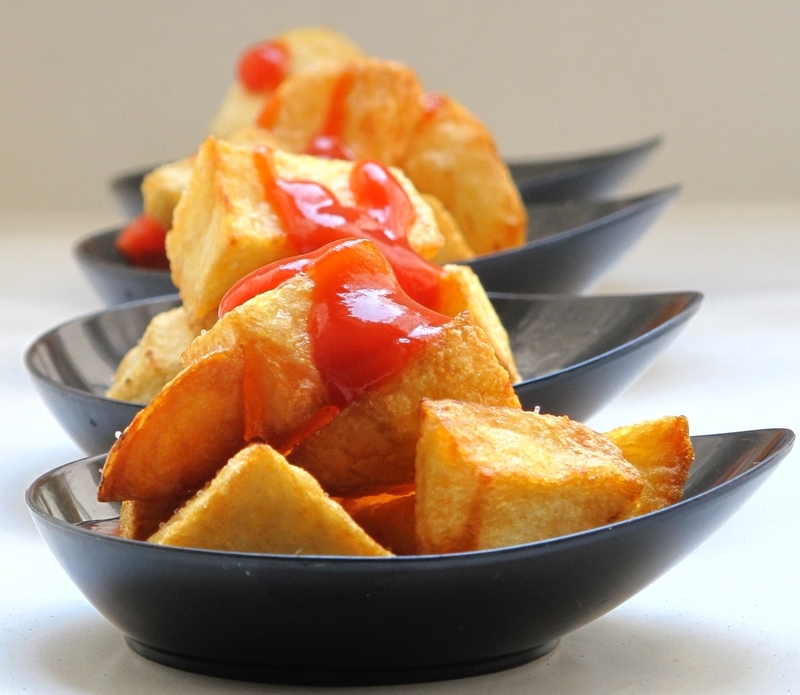 The word ‘tapa’ means to cover and legend holds that these tasty snacks were originally slices of ham or cheese which were used to cover drinks and keep the flies from taking an unwanted swim. Since then, tapas have come a long way and now with hundreds of variations, from a traditional plate of olives to seafood tapas topped with caviar, there is sure to be a tapa perfect for even the pickiest of eaters. But when in Barcelona, expect tapas with a Catalan twist like Pa Amb Tomaquet (tomato bread) and Butifarra (similar to sausage) which are served in restaurants all across the city. Tapas for Free in Barcelona? Indeed! Originally, tapas were served free of charge with the order of a drink, and while many cities in the south of Spain still maintain this tradition, this practice is not so common in Barcelona. However, there are a few tapas bars in Barcelona where you can dig into free tapas with your beer or Cava! Ca’l Chusco: In the heart of Barcelona’s seaside village, Barceloneta, lies this charming little joint. With tapas such as their famous bombas (potato balls) and fried fish, which both come served with every drink, you can’t go wrong. And for those who want more than just a sample, this tapas bar also offers raciones or bigger portions, as well as an extensive menu. 2. Ambiente del Sur: Known for their tortilla de patatas, this Barcelona tapas bar, situated in Eixample, is a must for those in search of an Andalusian ambience. If potatoes aren’t quite your dish, be sure to head here on Tuesdays when paella is the specialty or Thursdays when you can dig into breadcrumbs with sardines! 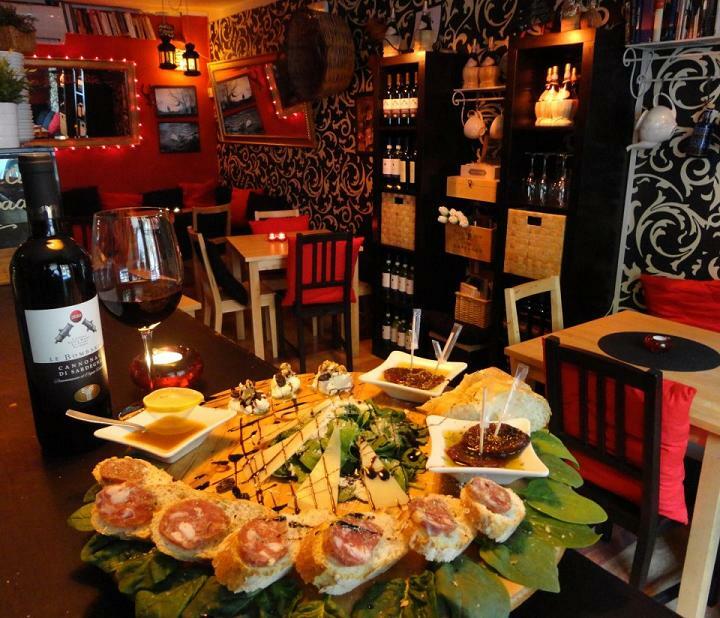 Pappa e Citti: With free tapas that come served with every drink order between 6-9pm, this tapas bar is a great choice for those looking to nibble on some treats. With drinks ranging from 1.80€ to 5€, there’s plenty of variety here and it’s a great place to start a night on the town. The combination of great prices and delicious snacks, all in the beautiful barrio of Gràcia, makes this one a must-visit! Bar Mingus: In the mood for meatballs or ensaladilla rusa (Russian salad), then this restaurant, situated in the Gothic Quarter, is a good choice. Enjoy some free tapas as you sip on a cool house beer! Cerveceria de Dues: Looking for cheap beers and delicious snacks? This Gràcia bar offers drinks for as low as 1€ before 7pm, with complementary tapas. A guaranteed good time. So, now that you know where to find the best free tapas in Barcelona, you have no excuse not to dig into these delectable delicacies. 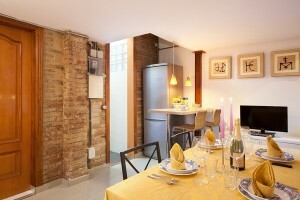 If you’re heading to Gaudí’s city soon, then you’ll find that by renting one of the many city center apartments in Barcelona, you’ll find the bars mentioned above to be easily accessible either on foot or by metro. If you’ve already enjoyed a meal at one of these free Barcelona tapas bars, or stumbled across others offering free tapas with your drink, drop us a comment below and let us know about your experience! This entry was posted in Bars & Nightlife, Home, Restaurants & Food. Bookmark the permalink.